Unlike most countries, Canada does not have a foreign espionage service, similar to the Secret Intelligence Service of Britain or of Australia, or the Clandestine Service of the American Central Intelligence Agency. Some argue Canada needs one in order to understand the world, and that with one, we would no longer need to rely upon allies for intelligence. But before spending a lot of money on an espionage service, it is necessary to have a clear understanding of how such services work, and what one could do, and could not do, for Canada. It is particularly necessary to comprehend that espionage is a morally hazardous business, not to be engaged in for other than high moral purpose. Espionage is not some dark magic that only wizards can understand. It is readily comprehensible by anyone with common sense and some insight into human nature – and a mind free of the many silly fictions of spy novels and films. Those who wish to delve deeper into the subject are encouraged to read the books and speeches referred to in the endnotes. Espionage is the secret collection of intelligence by humans who work inside the given organization being spied upon. Sometimes loosely referred to as ‘humint’ (human intelligence), espionage is, in fact, just one manner of collecting humint. A captured enemy soldier, when answering his captors’ questions, is providing humint. Humint (with its espionage subset) is one of the three major types of intelligence, the other two being imagery intelligence and signals intelligence. Humint collection is secret in method, and secret because the officials of the organization being spied upon are not meant to know their secrets have been uncovered by espionage. The term ‘CIA agent’ in popular parlance refers to an American working for the CIA. For professionals, however, the agent is the foreigner who spies for an espionage service, while the espionage service uses its own country’s citizens to serve as ‘intelligence officers’ or ‘espionage officers.’ In 2012, the head of the Australian SIS (Secret Intelligence Service) said: “ASIS is … in the business of collecting secret human intelligence … largely through intelligence officers managing a network of agents … “3 In this writer’s view, he and his British counterpart quoted previously use the term ‘agent’ correctly. If Canada had a foreign espionage service, and one of its targets was, for example, Iran’s nuclear weapons program, a Canadian espionage officer would seek to recruit an Iranian nuclear scientist as an espionage agent and then spy for Canada. The Iranian in this case is the agent, not the Canadian espionage officer who ‘runs’ him. Why is espionage still conducted? Spying, according to Sun Tzu, some 25 centuries ago, was all about human beings. But in these days of spying by imagery satellites and by interception of electronic communications, and not forgetting how much is openly available to everyone, what room is there for old-fashioned espionage? To be sure, much, and usually, enough, may be learned without resort to espionage. But there are some secrets that cannot be seen by a satellite or intercepted by a signals intelligence service, and all too much of what is publicly available is simply wrong. The intentions of an enemy may be known to only a handful of its people. Is, for example, Iran soon going to make the decision to begin building nuclear weapons? To clear away first some ludicrous notions about espionage, it is not done by heavily-armed ‘secret agents’ storming a top-secret facility inside an enemy’s capital city. If one believes that really can be done with any prospect of success, imagine deciding you want to rob a bank. How would you do it, and get away with it? Think of all the things you would have to know in advance – alarms? guards? vault code? police? off-shore bank accounts? Then, think of all the things that could easily go wrong. Frankly, and for myriad reasons, it is just too risky and difficult to accomplish. In the same manner, commando operations for the purpose of espionage are out of the question. To use the Iranian nuclear weapons program example, some imagine that another country, such as Canada, could train one of its own espionage officers to speak perfect Farsi, to act like a native Iranian, and to be able to build a nuclear weapon from scratch. Hypothetically, he could then be secretly inserted into Iran with forged documents, show up at an Iranian nuclear facility and get a job in the weapons program. Any volunteers out there for this suicide mission? Pretty sure his bosses would check with the Iranian university that our man would have to allege he graduated from, only to find neither record nor recollection of him. And espionage is not about wandering around a country’s bazaars, hoping to hear something secret being discussed. Espionage is not about striking up conversations with the locals, assuming they are not too afraid to talk. To be sure, in a country experiencing unrest, finding out what the ‘mood on the street’ is can be most important. There are many things in this world that are not secret, but are nevertheless essential to know. Secret intelligence is not always the most important kind of intelligence. But you do not need spies to capture this mood. Diplomats – and New York Times reporters – can do this just as well, the latter for the cost of a subscription! Using spies would simply add a counter-productively sinister air to this manner of intelligence work. Espionage is an ‘inside’ job. Imagine how much easier robbing a bank would be if you had a bank employee act as your spy and tell you all about bank security measures, rather than snooping around yourself trying to learn what they are. Contrary to myth, espionage officers do not spy themselves. Rather, they get foreigners to steal information for them; the foreigners, as agents, do the actual spying. Certainly, espionage officers working in hostile countries keep their eyes and ears open. But if they want to know in detail what is going on inside guarded, secret enemy facilities, what is being discussed in high-level political meetings, they almost always need someone working on the inside to inform them. An espionage officer wandering around a country with a camera or trying to question locals about sensitive matters would merely draw attention to himself, and if caught by the country’s counterintelligence authorities, can lead to him being declared persona non grata and thrown out of the country, and that is assuming the officer has diplomatic protection. And, barring the odd lucky strike, the espionage officer on his own will normally only be able to collect general background information on the country, not any truly valuable secret intelligence. The best intelligence in the world is useless if it does not lead to some sort of action. It is pointless for Canada to establish an espionage service, it is no good to run even highly successful espionage operations, if there is neither a government willingness nor a capability to act upon the intelligence it gets from espionage. “What is the point of the whole exercise?” is the question that must be answered. Merely wanting to know something secret for its own sake is wholly insufficient justification for espionage. Once determined to act upon intelligence received, at least in principle, and when sensible to do so, it is up to the government (ideally a Cabinet committee in Canada’s case) that controls the espionage service to set espionage priorities, that is, to select the targets of the service. No secret intelligence service should select its own targets, nor should it be allowed to carry out espionage against targets that the government has not specifically identified as such. “We are not a self-tasking organisation; we obtain intelligence based only on the questions set for us by government,” as said by the head of the British SIS.7 Only the most important, enduring strategic threats should be targeted for espionage. Secondary, transient threats should be investigated by other means. Hypothetically, what might be a key Canadian strategic espionage priority? Nuclear weapons proliferation… In my view, nuclear war is the greatest single threat to mankind, climate change and terrorism not excluded. The more countries with nuclear weapons, the greater the likelihood that there will be ‘fingers on nuclear triggers’ that belong to fearful, irrational, aggressive, or stupid people, with the consequent, measurably-greater risk of nuclear war. To jump ahead a bit, I can easily foresee a Canadian espionage service which had nuclear weapons proliferation as its sole priority. With sensible priorities – let us keep using nuclear weapons proliferation as our example scenario – the espionage service now embarks upon its arduous and wholly ‘non-glamourous’ work of learning as much as possible about the targets, specifically the people and organizations that might be involved in nuclear weapons acquisition in the targeted countries. Previous intelligence work may have revealed that a particular country’s military has a ‘special projects office.’ Might it be nuclear weapons-related? Gradually, in a variety of ways, including low-level espionage for essential background information, a picture of the office and its personnel is established. The aim of this tedious process is to identify people who should be in a position to know whether the office has a nuclear role. Obviously, this preparatory work can take months, even years, so the threats investigated by espionage have to be those that will endure for years, if not decades. Unless the agent has been recruited by stealth, as it were, (I will remark later upon sophisticated blackmail techniques), eventually, the espionage officer must make a recruitment pitch to the prospective agent: will you spy for us? This is the moment of truth – often literally a moment, since the pitch typically has to be delivered rapidly. If the assessment of the prospective agent and their desires has been good, they will accept. But why would they? What is in it for the new agent? Those who propose the establishment of a Canadian espionage service tend to downplay, or not even mention, the morally hazardous tactics espionage services use to recruit and retain agents. These tactics are based upon the motives noted previously. The agent should be paid regularly, whether they provide intelligence regularly or not. This appears to be counter-intuitive. Is it not the intelligence that is being bought? In fact, there are two good reasons for this approach: 1) the agent does not feel under pressure to take unnecessary risks just so they can provide their espionage officer with something, anything, regularly; and, 2) the agent does not start fabricating intelligence just to maintain a regular flow of intelligence to the officer. Sophisticated espionage services don’t buy the intelligence, they buy the individual.23 And the espionage officer will try to make the agent feel they are not being bribed, but are simply being paid a decent salary for a job well done. Given the propensity of all people to rationalize what they do, indeed, sometimes, to engage in outright self-deception, this should not be particularly difficult to do for the intelligence espionage officer. Unsubtle, brutal blackmail is a tactic of espionage services, but one this writer suspects is little used, whatever spy fiction tries to tell us. The espionage officer-agent relationship will be poisoned from the beginning if it is based solely upon crude blackmail, and few espionage officers are as stupid as to imagine that sort of relationship is conducive to getting good intelligence regularly. So, when possible, smart espionage services use much more subtle methods. Again, hypothetically, suppose the intended agent is having an extra-marital affair that they desperately wants to keep their spouse from learning about. The espionage officer, who has found out about the affair, will send a disreputable-looking character to threaten the prospective agent with sending photos to their spouse if they do not ‘fork over some cash.’ The intended agent is induced by a newly-acquired ‘friend’ to tell him about the blackmail, the new friend being, of course, the espionage officer (or a previously-recruited agent). The espionage officer tells the intended agent to do nothing, since they believe they know how to get the blackmailer to back off. Sure enough, and ‘wonder of wonders,’ the blackmailer goes away. The prospective agent now feels deeply obligated to their new friend, and so, in due course, the espionage officer asks for some sort of not-too-sensitive document on some pretext, like an internal phone directory of the organization targeted by the espionage service. How can the prospective agent refuse? Over time, increasingly important secret documents are turned over, until it dawns upon the agent he has become an agent, in a sense by stealth, and that it is too late for him to confess all to his home country’s counter-intelligence service. Prospective agents are frequently emotionally manipulated to some extent. Perhaps the intended agent resents his boss for some reason? The espionage officer builds upon this so that the prospective agent becomes really resentful. They likes to think of themselves as something of a good but unappreciated actor? The espionage officer promises them star billing in a grand secret drama. They are vain? The espionage officer feeds that vanity by telling them how much the intelligence the agent produces matters for the betterment of the world. In his speech, the ASIS Director-General said ASIS tactics do not include “violence or blackmail or threats,” suggesting to me that, by omitting to mention it, he is implicitly indicating that bribery is an ASIS tactic.26 The Chief of the UK SIS, in his speech, simply says that the SIS does “…things for our country that would not be justifiable in pursuit of private interests. But they are necessary, proportionate and legal in pursuit of national security.”27 He thus distinguishes between the dictates of private and public morality. It would seem from his remarks that, for SIS, perhaps not even blackmail is always ‘off the table,’ although to be fair, a former SIS Chief denied that pressure of this sort is a SIS tactic.28 His remark about SIS’s work being legal this writer takes to mean legal under UK law. Espionage is against the law in most countries; agents of espionage services break those laws in the course of spying against them. It is evident from the foregoing that hunting agents, and developing the relationship between the espionage officer and the prospective agent, is time-consuming, difficult work. Would it not be easier and faster (and ‘nicer’?) simply to wait until foreigners ‘walk in’ and volunteer to become agents? Common sense reveals some of the downsides to this approach. First, a passive stance makes getting a genuinely worthwhile agent a matter of luck. Years may pass before even a single important volunteer shows up. Second, since hostile countries watch foreign embassies and embassy officials, a walk-in may be spotted as they attempt to make contact with an embassy official, and may be put under intense surveillance by their country’s counter-intelligence authorities. The walk-in may then be required by the counter-intelligence authorities to feed the espionage officer bogus information. 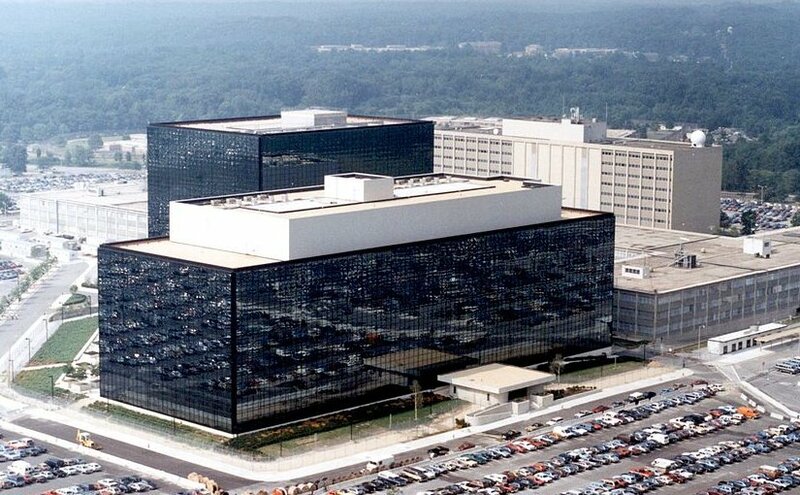 Headquarters of the NSA at Fort Meade, Maryland.. Source: NSA, Wikipedia Commons. Third, the walk-in may have access to serious secrets, but are they secrets of useful relevance? For example, Laos may have a few deep, dark secrets, but does anyone, aside perhaps from Vietnam, really care what they are? If the espionage service’s only target is nuclear weapons proliferation, then it scarcely matters what secrets are on offer if they have nothing to do with that particular issue. Even so, if the espionage station has no agents, there will be a temptation to accept a walk-in, because, well, it does not have any other agents. Such temptation is to be avoided; it is much better to stick to the government’s espionage priorities. Espionage, for the love of the game or to create the illusion of productivity, is a very bad idea. Fourth, and most concerning, the walk-in may, in fact, be an agent provocateur, sent by a hostile counter-intelligence service to try to identify who at the Embassy is an intelligence officer, who their agents are and what their espionage tradecraft is, and then, perhaps, to pass on false information. For these reasons, all intelligence services are properly wary of walk-ins.31 And one final point in the Canadian context… Why do we imagine the first stop of a would-be agent would be a Canadian embassy? No, if intending to spy for the West, American, or British, or French officials would be much more likely to be approached. Waiting for a walk-in to a Canadian embassy would be a very long wait, this writer believes. Many espionage officers come genuinely to like their agents (and vice-versa), and many are fiercely protective of them. Seen in this light, it is obvious that much spy fiction is trash. Very few espionage officers would ever deliberately betray their agents, not even if an agent decides that they no longer want to continue spying. What would-be agent would ever agree to spy for an espionage service that had the reputation of routinely betraying its agents? Proponents of a Canadian espionage service sometimes make much exaggerated claims for what it could do. Let me dispose of several myths. A Canadian espionage service, however good, would not be the answer to all Canada’s intelligence challenges, as I know from long experience in the business. It would not make us smarter about the whole world, only about a limited number of specific (though ideally very important) issues. Having espionage agents reporting to Canada would not necessarily allow for accurate predictions to be made, nor would it necessarily make decisions easier. It would not make Canada an ‘independent’ intelligence actor in the world, since Canada is already that with its current intelligence capabilities; an espionage service would simply make Canada more so. It could not replace methods of intelligence collection that Canada is already employing, such as foreign signals intelligence collection by the Communications Security Establishment Canada. And getting intelligence from a Canadian espionage service most certainly would not eliminate the crucial need for Canada to continue acquiring intelligence from close allies. Canada benefits greatly from the intelligence flowing to it from the US, the UK, Australia, and New Zealand. 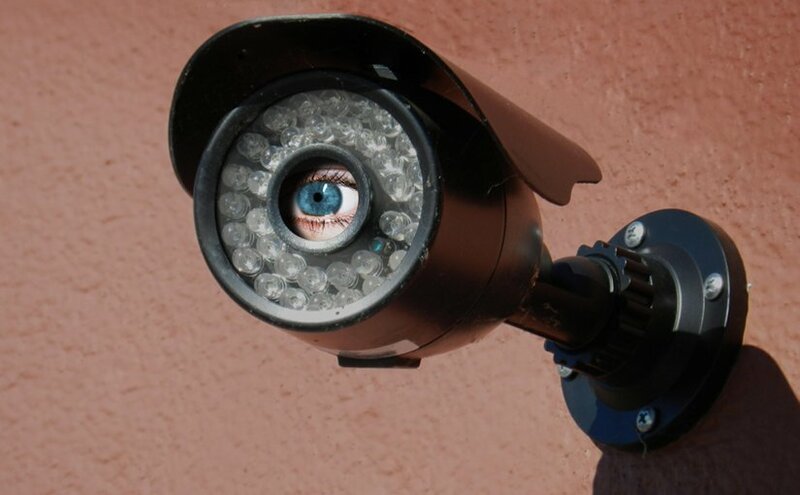 ‘Spy services always go bad and start killing people and blowing stuff up.’ Certainly, intelligence officers who are not under strong political control may well do things they should not – but then, so could some police officers. That has not stopped democracies from having intelligence services – or policemen. And in the Canadian context, neither CSIS nor CSEC has ever been accused of any sort of violence, and both have been in service for decades. The ‘spies going rogue’ reason is a bad argument for not having an espionage service. A Canadian espionage service is not bound to go bad, provided Canadian political leaders do their jobs, that is, to exert tight, active control36 over the service and require the service’s officers to follow the lawful direction of the Canadian government. Part of the answer is to deny the espionage service any capacity for violence. For example, there is generally no need for espionage officers to be trained in the use of weapons, although in the special case of espionage against terrorists, some espionage officers probably have to be armed for self-defence at least some of the time. ‘If Canada does not have an espionage service, other countries would not spy on Canada, because they will be so impressed with our high ethical standards.’ This is a ridiculous objection. It is simply untrue. Other countries have long spied on Canada, and whether or not Canada has an espionage service, our enemies will continue to conduct espionage against Canada. More to the point, with CSEC, we have been in the foreign spying business since the Second World War. Canada would hardly be deemed in my opinion to be much more aggressive, or much less admirable, by the world if we had an espionage service as well – even assuming the world actually took notice. This is a bad argument against having an espionage service. Our enemies (and friends) probably view past Canadian disinclination to set up a foreign espionage service as short-sighted at best, stupid at worst. Espionage is illegal under most countries’ laws. Espionage involves asking agents to commit treason and to steal information. If we do not want to encourage law-breaking in other countries, ever, if we do not want ever to encourage treason and theft, then the answer is simple – do not have a Canadian espionage service. Canada’s enemies have secrets they intend to keep to give them serious advantages over us and our allies. The job of our intelligence services is to reveal their most important secrets. While some of an enemy’s secrets can be uncovered by imagery and signals intelligence, other secrets can only be discovered through espionage by agents with access to the intelligence sought, either because they have access to documents detailing those secrets, or access to people who know the secrets. Realistically, since there would be limits to the resources that could be devoted to it, the best that a Canadian espionage service could accomplish would be to have four, six, maybe as many as eight dozen espionage agents in different places around the world, each one collecting intelligence on one of, say, a dozen issues of vital Canadian interest. For example, if the Iranian nuclear weapons program was one of a dozen targets, Canadian espionage officers would try to recruit as agents around a half-dozen Iranians believed to be involved in various aspects of the program, in order to achieve a holistic understanding of the program. But even a small espionage service with a limited number of strategic targets, given well-trained espionage officers, tough offensive tactics, and a bit of luck, could well produce intelligence of very high value to Canada and its closest allies on matters, such as nuclear weapons proliferation. The espionage effort would have to be focussed upon only recruiting foreigners who had access to the most important and closely guarded secrets of our enemies. By giving close allies Canadian espionage agent reports, we would get, in return, reports from agents working for their espionage services. Canada would likely benefit disproportionately, in that, in terms at least of quantity, Canada would get back more human intelligence reporting than it gave, above all, if agents spying for Canada were producing key intelligence otherwise unavailable to allies. I cannot prove this, but I have had enough experience in international intelligence to be very sure of my judgement in this matter. Conclusion – So Canada should have a foreign espionage service, right? Because I do not think Canada would be able to run a highly effective espionage service – I think we would screw it up. If not to be highly effective, why waste the money? To be very effective, an espionage service must aggressively hunt for agents, must resort very often to bribery, perhaps infrequently to blackmail, and usually to lying and emotional manipulation of its agents. I believe that many Canadian politicians and many Canadians, at least in the current Canadian security environment, would not stand for a service that used such tactics. Rather, I think that any Canadian espionage service established would be compelled to practice what I will disparagingly refer to as ‘espionage lite,’ passively waiting for walk-ins, and then accepting as agents only those walk-ins who volunteered to spy for ‘pure’ ideological reasons. If required to operate in this manner, the service would produce little intelligence of value. (And even if the agent is spying for acceptable ideological reasons, there are still the issues of Canada condoning treason and theft, and abetting the breaking of anti-espionage laws.) To imagine that we need only ‘hang out a sign’ at Canadian embassies, and then to imagine that ISIS terrorists, Russian intelligence officers, and Iranian nuclear scientists will line up at the door, demanding to tell ‘nice’ Canadian intelligence officers all their secrets, is the purest nonsense. Restricted to only ‘espionage lite,’ a Canadian espionage service would not be worth the several hundred millions of taxpayer dollars a year that I estimate it would cost. Finally, if a Canadian government is still bound, bent, and determined somehow to spend several hundred million dollars more annually on Canadian intelligence, I can think of some improvements that would benefit Canada much more than any ‘espionage lite’ secret intelligence service. This article was published by the Canadian Military Journal, Volume 17, Number 04, Page 56. Douglas Grant, Pope, The Penguin Poetry Library, Penguin Books Limited, 1985, p.119. Samuel B. Griffith (trans. ), Sun Tzu: The Art of War, Blue Heron Books, 2006, p.232. Henry A. Crumpton, The Art of Intelligence: Lessons from a Life in the CIA’s Clandestine Service, Penguin Books, 2012, p.58. Crumpton spent two years developing a relationship with one prospective agent. Stephen Grey, The New Spymasters, St. Martin’s Press, 2015, p.64. Crumpton, p.58. Crumpton also adds identifies coercion as a motive. Ibid., p. 147. See footnote 13; Copeland believes as many as one out of every three US government employees would agree to become agents in certain specific circumstances and if the recruitment pitch was just right. Are all these people therefore abnormal? Gordon Corera, The Art of Betrayal: The Secret History of MI6, Pegasus Books, 2012, p.146. Ibid., p.30, quoting an MI6 officer. Ibid., pp. 17-18. I built this scenario from Copeland’s remarks. A similar scenario about development and recruitment without blackmail can be found in pp.18-21. Harry Rositzke, The CIA’s Secret Operations: Espionage, Counterespionage and Covert Action, Reader’s Digest Press, 1977, p.259. Rositzke, pp.258-261. My judgement as to what a top-notch Canadian espionage service would look like is largely inspired by Rositzke’s views. Canadian Military Journal is the official professional journal of the Canadian Armed Forces and the Department of National Defence. It is published quarterly under authority of the Minister of National Defence. Opinions expressed or implied in this publication are those of the author, and do not necessarily represent the views of the Department of National Defence, the Canadian Forces, Canadian Military Journal, or any agency of the Government of Canada. Crown copyright is retained.